Description: One 1859 $5 Farmers Bank of Kentucky Obsolete Note PMG Choice Uncirculated 63EPQ. PMG Certified. Description: One 1880-S $1 Morgan Silver Dollar Coin PCGS MS63. PCGS Graded. Description: One ring featuring: 14KT yellow gold weighing 4.1 grams containing one sapphire weighing 2.48ct and diamonds weighing 0.60ctw. The ring is a size 8. Description: One 1880 $5 Liberty Head Half Eagle Gold Coin. Description: One Lot of 1940-D & 1941-D Jefferson Nickel Coins PCGS MS66. PCGS Graded. Description: One Pack of (100) Consecutive 1976 $2 Federal Reserve Notes San Francisco. Description: One 1955 (5) Coin Proof Set. Description: One 1894 $10 Liberty Head Eagle Gold Coin. Description: One .999 Silver Four Queens Casino Hotel Las Vegas $10 Limited Edition Gaming Token. 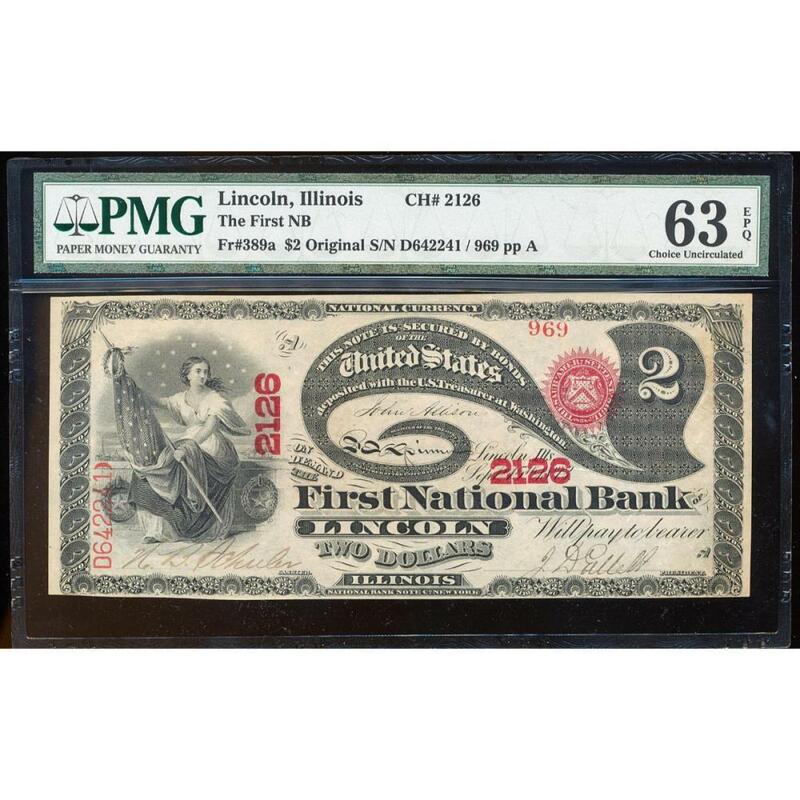 Description: One Lot of (3) 1928 $2 Legal Tender Notes. Description: One Roll of (20) 1954-S Booker T. Washington Commemorative Half Dollar Coins. Description: One 2000 Austria 500 Schillings Birth of Christ Gold Coin NGC MS70. NGC Certified. Description: One 1826 Capped Bust Half Dollar Coin PCGS XF45 Overton 117a. PCGS Graded. Description: One 1974 $1 Federal Reserve Note Offset ERROR. Description: One 1883-CC $1 Morgan Silver Dollar Coin NGC MS65 GSA w/ Box & COA. NGC Certified. Description: One 1855 $3 Indian Princess Head Gold Coin PCGS AU50. PCGS Graded. Description: One 1889-CC $1 Morgan Silver Dollar Coin PCGS AU50. PCGS Graded. Description: One 1893-O $1 Morgan Silver Dollar Coin. Description: One 1954 $5 Bank of Canada Note. Description: One 1919M Mexico Peso Silver Coin NGC MS61. NGC Certified. Description: One 1918C Canada Sovereign Gold Coin NGC MS61. NGC Certified. Description: One 1885 $1 Morgan Silver Dollar Coin NGC MS64. NGC Certified.